A 70-year-old Chinese grandmother is taking on China's influential state news agency. The reason? The agency, Xinhua, published a story in December accusing her labor activist son, Zeng Feiyang, of a variety of misdeeds after he was detained by authorities. The allegations included improperly taking money from overseas groups and hassling and insulting women. His family say they don't believe the allegations. And so his mother, Chen Wenying, took the unusual step of filing a lawsuit earlier this month, suing the official news agency of the ruling Communist Party for defamation. She's demanding 1 million yuan (US$155,000) and that Xinhua delete the relevant stories and issue a public apology, according to her lawyer, Chang Yiping. She's also suing the journalist who wrote the piece, the local public security bureau and the detention center, where Zeng has been held since late last year. "As far as I know, it's almost unheard of for individual citizens to sue Party media outlets like this," said William Nee, a researcher for Amnesty International in Hong Kong. "Given the lack of judicial independence in China, it's unlikely that the lawsuit will succeed, but it may shine a light on the unprofessional journalistic ethics that are at the heart of these hit pieces on dissidents and activists," he said. 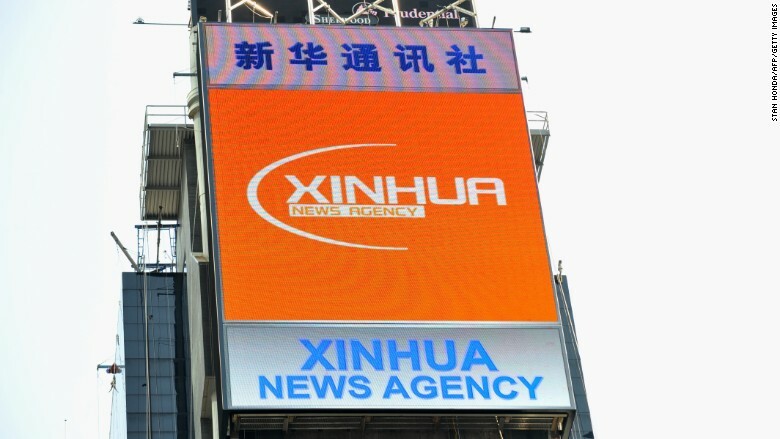 Multiple editorial departments at Xinhua declined to comment on the case. "I feel very upset and huge pressure," said Zeng's wife, Huang Ping. "Since he's been on television, people around us look at us differently." She said the article attacking her husband was easy to find through a simple Internet search. "I am worried that this will have a negative impact on the future of our son." Zeng was caught up in a widespread crackdown on labor activists in the Guangzhou area of southern China, according to worker rights' group China Labor Bulletin. "The goal of these videos and articles is to control the public narrative by presenting the targeted individual's activities as extremely harmful to China's image and interests," Nee said. The articles "attempt to further discredit their activism and professional careers in the minds of the general public and among international and domestic supporters." China's state media outlets are all heavily censored and controlled by the government, and such allegations may be the only information that the Chinese public hears about Zeng's case.